Taxonomy is the science of classifying living things, including animals. The word comes from the Greek words taxis (arrangement) and nomos (laws), so taxonomy means the "law of arranging". Taxonomy is also sometimes used to mean a system of classifying non-living things. For example, there can be a taxonomy of occupations or a taxonomy of sports. Human beings often have a natural desire to categorize the things around them. Different human cultures have different folk taxonomies that are based on the appearance and behavior of the creatures that they know. For example, to some people, any small, crawling animal with a hard outer skeleton is a "bug". The creation story of the Bible, in the Book of Genesis, uses a simple taxonomy, with animals being classified as either creatures of the sea, birds, or creatures of the Earth. 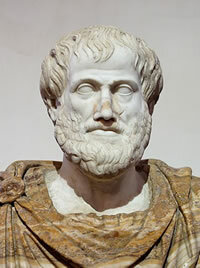 Aristotle, a Greek scientist and philosopher who lived in the 4th Century BC (BCE), was the first person that we know to have devised a rational scheme for classifying living things. The system that Aristotle invented was based on complexity. He organized living organisms in order of how complex he believed theywere, from the lowest (tiny invertebrates) to the highest (human beings). Aristotle's classifications were based on these organism's observable characteristics. Aristotle divided animals into two types - those with blood and those without blood. 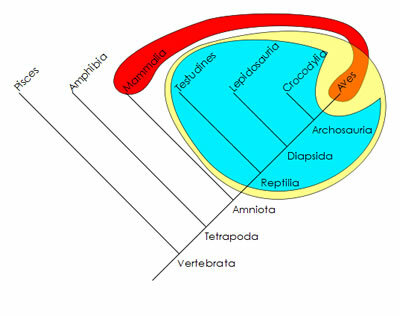 This division corresponds closely to the division between vertebrates and invertebrates that biologists use today. In this system, nature was made up of three kingdoms: animal, vegetable and mineral. Amphibians - which included both reptiles and amphibians as we know them today. Early in the 19th century, the French naturalist Pierre André Latreille published a work in which he divided reptiles and amphibians into two separate classes. Worms and mollusks - which included many different kinds of invertebrates. 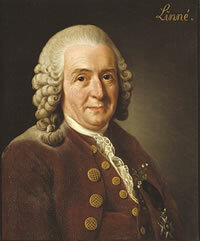 Linnaeus developed a system of using two words to name a species. This system is known as binomial nomenclature. The first word, which is capitalized, is the name of the genus to which the species belongs. The second word, called the specific name, is a word that describes the species. It is not capitalized. For example, in binomial nomenclature, human beings are the species Homo sapiens. Homo is the genus name and sapiens, which is Latin for "wise", is the specific name. Today, scientists all over the world use the Linnaean classification system. It has been modified to include more rankings. There can be intermediate rankings, such as "superfamily" or "subtribe". The domain is a ranking above kingdom. Biologists have not always agreed on how the living things on Earth should be divided into domains. Archaea and bacteria are prokaryotes - singled-celled organisms that have no nuclei. Archaea live in extreme environments, such as deep sea vents. Biologists also disagree about many kingdoms there are. When Linnaeus developed his taxonomic system, Charles Darwin had not yet published On the Origin of Species, which described the process of evolution. Scientists were not aware of how different species were related to one another by descent. In Linnaeus's system, living things were grouped together because they shared similar characteristics. His classification system was designed to make it easy for scientists to identify the group to which a particular creature belonged. After Darwin's work was published, biologists agreed that a classification system should be based on ancestry, with organism sharing a common ancestor being placed in the same group. In the 1960s, Emil Hans Willi Hennig, a German biologist, developed a taxonomic system in which taxa are arranged in an evolutionary tree, also known as a phylogenetic tree. This system came to be known as cladistic taxonomy, or cladistics. Fossil records and genetic data are used to determine where particular organisms belong on the tree. Cladistics uses cladograms - diagrams that show how species are related by ancestry. A branch in a cladogram is known as a clade. All the organisms in a clade share a common ancestor, and no organisms outside of the clade have that ancestor.